Tamlyn originally came up with these as characters for our Twitter background. 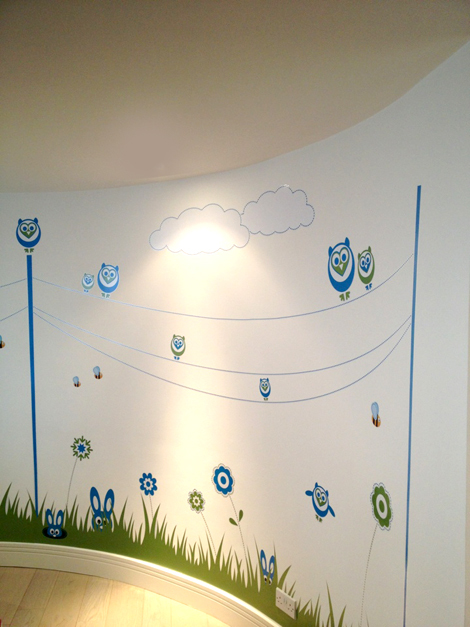 And we have since been taking these owls through our branding to other stationary, newsletters, our powerpoint slides, cupcakes at our seminars, proposals, and now our walls in our new offices. And of course there’s the amazing Pinterest board on owls! 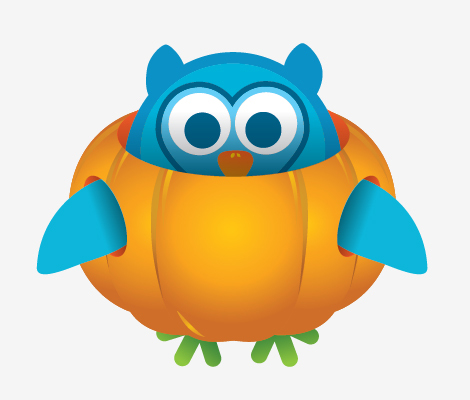 Last Halloween we dressed the owls (Oliver the Owl pictured below) in pumpkins for our Halloween Newsletter. For our seminars, Tamlyn made special Owl cupcakes. Let’s look at Owls and draw upon the similarities between Top Left Design and Owls. You will see it will become clear. Owls ask “Who? Who?” At Top Left Design we specialise in creating websites with personality. This means we take the “Who You Are” into the “What You Do”. We never work on any designs for clients unless we ask them a lot about the people in their business, and then we set out to, as much as possible, help the world see the personality of the business and what makes them unique. Owls stand for Wisdom We consistently stay ahead of the game and study the constantly changing landscape of marketing and especially online marketing. It’s a mixture of design and human psychology. It takes talent and empathy. So, we can safely say, we are wise. They always look forward and can swivel their heads 360 degrees – that’s ultimately a cool trick but really – we do the same – we are forward thinking, always looking ahead, but we also look ALL around to make sure we are on top of it all! Part of owl’s strategy is based on stealth and surprise. That’s just like us at TLD – we are always coming up with new and innovative ways to keep our clients happy and our readers educated and amused. Take action now! What visual elements do you use in your branding? Comment below – or send us a link to your blog – where you explain the reasons for the visuals in your brand. If you can come up with three excellent reasons (like we have above) then you’re onto a winner! I love the TLD owls. They make me happy just to look at them! What great mascots the owls make. All seeing, all knowing. The illustrations also bring in an element of fun.